Are you a fan of Edward Clariss? 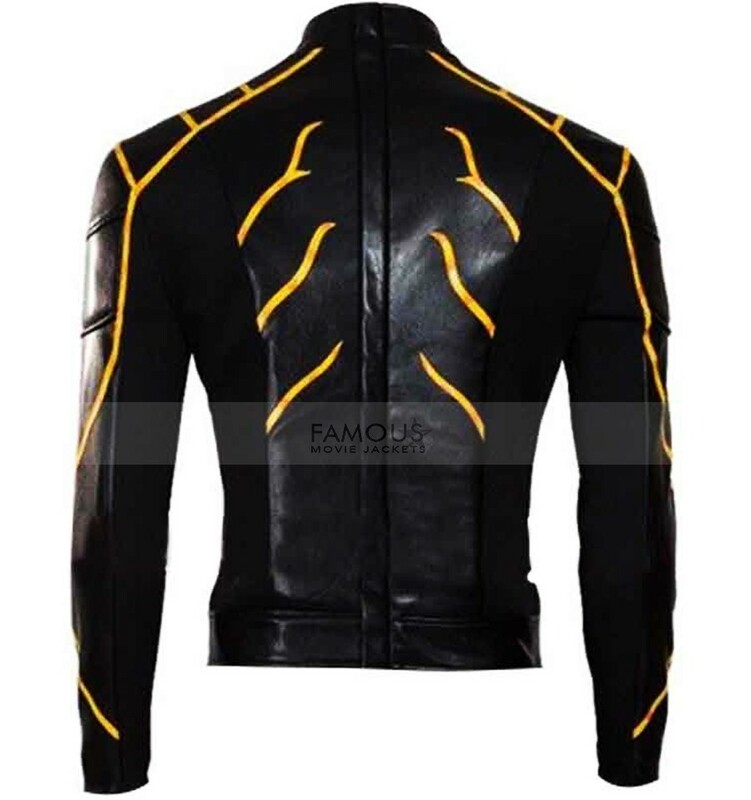 Then we brought a good news for you here we present a blend of style and poise, the replica jacket of The Rival of Flashpoint which is worn by Edward Clariss. This black costume jacket is made of real leather with viscose inner lining. The jacket has erect round collar. 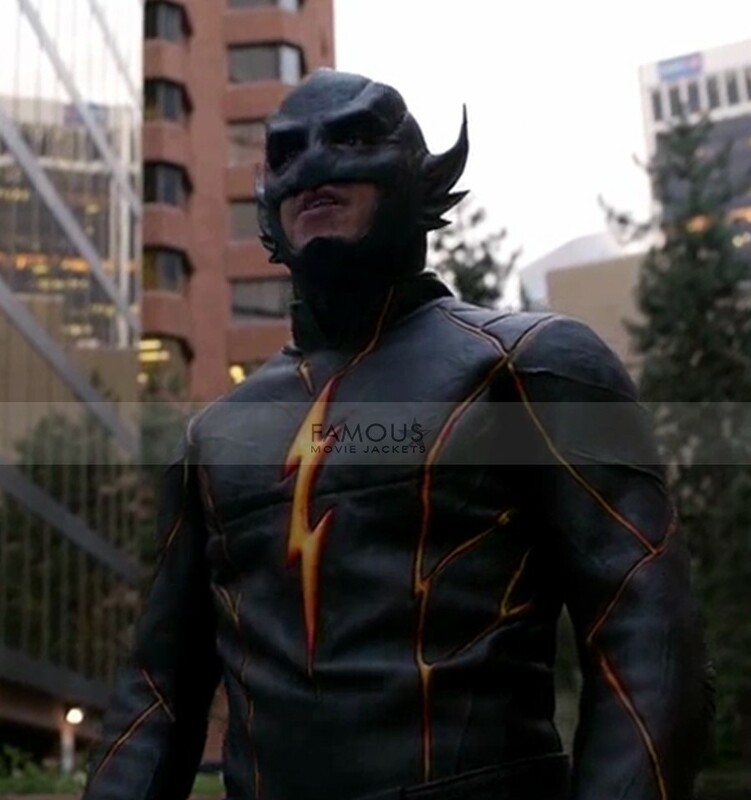 This unique costume has back zip closure and there is the flash logo at front. So, The Rival Flashpoint Costume jacket is the perfect pick for your costume party. Get this amazing costume and rock on. I ordered this costume for my son. He enjoyed this costume on school event. 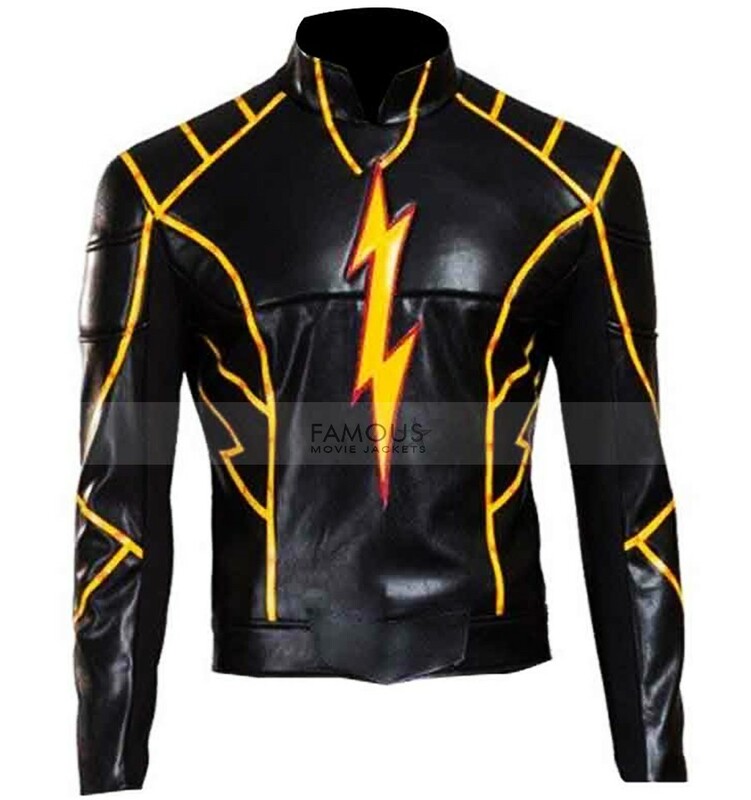 The Flash costume jacket is stunning outfit having the exact The Flash zigzag logo at front, also the color combination and back closure style which I love most. This Flash costume jacket gives me the utmostfascinationand I just enjoy being center of attraction.